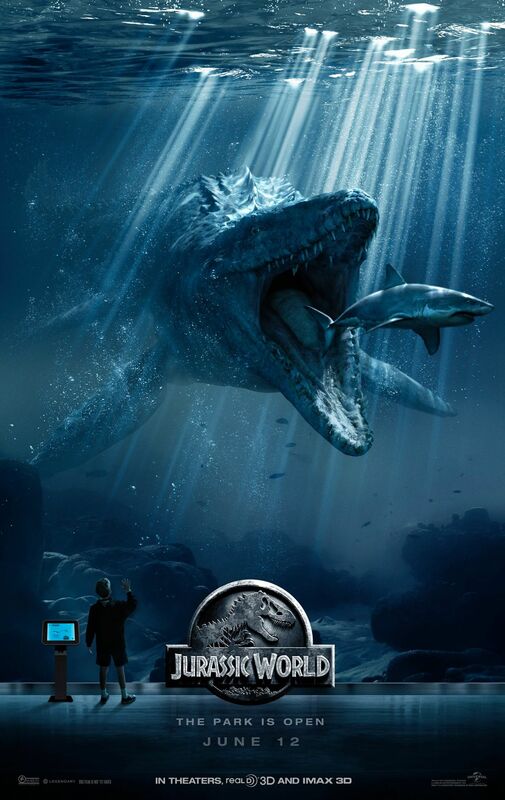 Colin Trevorrow has tweeted the second new poster for Jurassic World featuring the Mosasaurus behind a glass wall. We can see just how big the creature is compared to a Great White Shark. This article was posted April 18, 2015 at 7:30 pm.